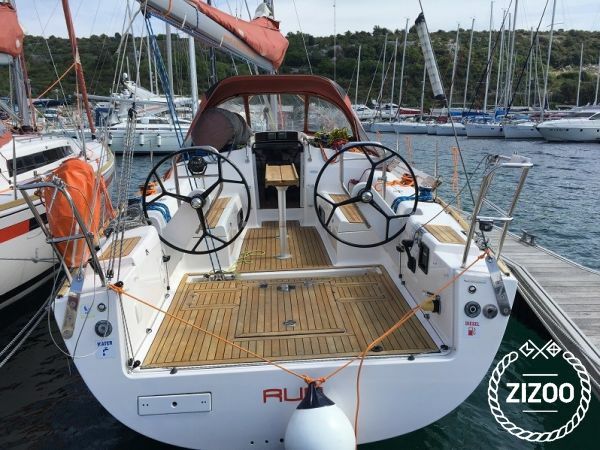 Imaging sitting on the deck of a 2013 Salona 38, sailing over crystal blue waters, surrounded by friends and popping a bottle of bubbly! Well, the Champagne will have you doing just that! For a perfect summer holiday on the Croatian coast, feel free to enjoy the highlife in a beautiful salon, along with a fully functional kitchen, and 3 double bed cabins. There are also 2 single beds and 1 double bed in the living area, which means this boat can sail with up to ten people on board. With your closest friends you can discover some of the beautiful locations that have been featured in the mainstream media such as CNN, BBC, and print. Croatia offers a variety of holidays suitable for a wide array of visitors. For those interested in history and culture there is Trogir and Split. For others who are looking for an active holiday, they may prefer visiting Pakleni Otoci (Hell's Islands) and Vis. And for those just looking to have a darn good time, there is always Hvar, Makarska and Vodice.